heavy loads of snow or rain. Shrink wrap your boat and add that extra layer of protection to your boat as part of your winterization process. 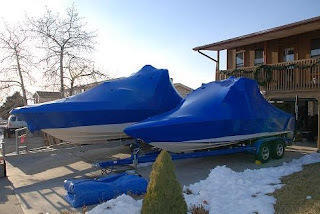 By properly shrink wrapping your boat it can last years providing waterproof and UV protection for your watercraft, machinery, or personal property. Shrink wrap comes in a number of sizes and thickness depending on what is needed for the area and application and duration of protection needed. 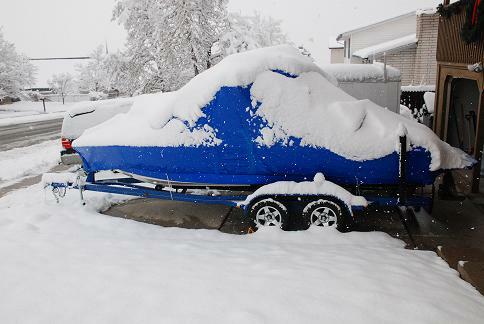 In Utah we primarily use shrink wrap for the harsh winter climate and elements to protect boats while in storage for the winter months. Shrink wrap also protects from the pollution in the air and from industrial fall out over time and will keep boat clean over the time of storage so when it is pulled out the boat is ready for use. Detail your boat and put it away ready to use in the summer.